Do you consider yourself a transportation enthusiast? Do you find yourself constantly talking about Chicago’s various transportation networks? Do you bike, bus, train, walk, or drive around Chicago? Do you have any opinion on Chicago transportation in general? If so, YPT-Chicago invites you to participate in the second annual Transportation Camp Chicago! On Saturday, May 4, 2019, Chicago will join cities across America in hosting this transportation “unconference.” Transportation Camp will be hosted at the Chaddick Institute for Metropolitan Development at the DePaul University Loop Campus. Transportation Camp forgoes the traditional conference format in favor of a participant-driven discussion among industry professionals, students, and anyone interested in transportation issues and innovations. Attendees will take the lead in determining session topics and driving the conversation, so come ready to participate! How To Transportation Camp: The folks at Mobility Lab have taken the time to put together a Transportation Camp 101 guide that explains all aspects of the event. Dress Code: Transportation Camp is a very casual event. Although you might be inclined to dress up for a conference, your best attire is your coolest transportation T-shirt! Interested in joining us at Transportation Camp Chicago? Breakfast, lunch, and beverages will be provided. WHEN: Saturday, May 4, 2018, 9:00 a.m. to 5:30 p.m.
DePaul University’s Downtown Campus is approximately a 14 minute walk east down Jackson Boulevard from Union Station downtown. Audrey Wennink directs Metropolitian Planning Council’s (MPC) transportation efforts and coordinates transportation initiatives with other facets of planning including affordable housing, land use, equity and the environment. She leads transportation research and advocacy efforts including pursuing sustainable funding for transportation in Illinois, integration of performance-based planning methods into transportation practice, and developing efforts to boost transportation equity. She serves on various regional stakeholder committees guiding transportation project development. She also leads the MPC Regional Planning & Investments Advisory Committee, comprised of regional business and public policy leaders. A Chicago resident for more than 20 years, Audrey is a board member of the Greater Chicago chapter of WTS, a professional organization to advance women in the transportation industry, and a member of Lambda Alpha International, an honorary society focusing on land economics and planning issues. Audrey also serves on the Chicago Metropolitan Agency for Planning’s transportation committee. She holds a B.A. in English and Spanish from Colby College and a Master’s in Urban Planning and Policy from the University of Illinois at Chicago. Joseph Schwieterman, Ph.D, is a professor of Public Service Management at DePaul University, a nationally known authority on transportation. The director of DePaul’s Chaddick Institute for Metropolitan Development, Professor Schwieterman is actively involved in research about planning and intercity transportation. Schwieterman earned a masters in transportation from Northwestern University and a Ph.D. in public-policy studies from the University of Chicago. He frequently appears as an expert on First Business (syndicated television) and is a regular guest on WBBM New Radio 78’s Noon Business Hour. His most recent book Terminal Town: An Illustrated Guide to Chicago’s Airport, Bus Depots, Train Station and Steamship Landing is published by Lake Forest College Press. Founded in 1993, the Chaddick Institute for Metropolitan Development is located on DePaul University’s Loop Campus in Downtown Chicago. Chaddick offers students and professionals in planning, design, and development a forum to network and share expertise on urban planning issues through events, study trips, workshops, and research. A diverse array of publications and books on planning and transportation topics have been produced by Chaddick researchers, and the institute is regularly quoted by national news organizations. Mobility Lab nurtures innovations to a fundamental requirement of human life: better transportation options for everyone. It is a place of collaboration, education, and continuous improvement for moving people in more healthy, efficient, and sustainable ways. “Moving people instead of just cars.” Mobility Lab is based on three pillars: Research. Collaboration. Communication. CSched provides consulting services to public transit agencies, private providers of public transit services, and consultants engaged in planning for public transit agencies. The international experience of our senior staff team represents fifty years of innovative solutions applied to the transportation industry including airline, passenger rail, and bus transit operations. The group is organized under two sister firms, CSched USA and CSched Canada. Young Professionals in Transportation is an international 501(c)(6) nonprofit coalition of organizations, which helps professional development, fellowship, and networking for young professionals in the transportation field. 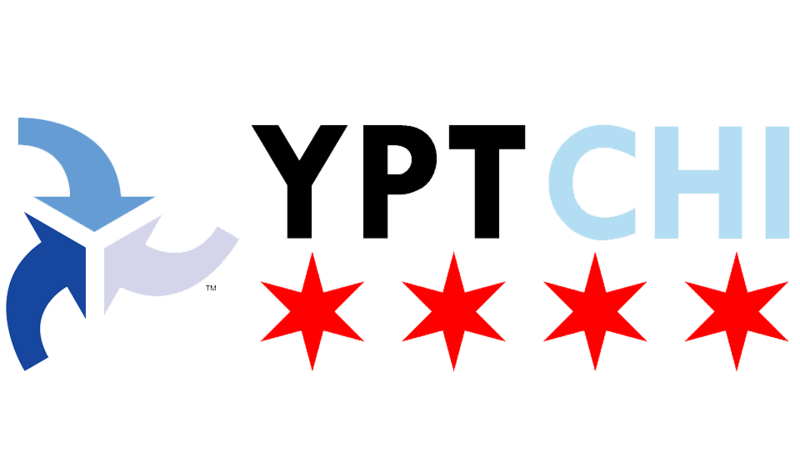 YPT-Chicago is the Chicago chapter of Young Professionals in Transportation. Since 2012, YPT-Chicago has provided career guidance, fellowship, and networking opportunities for professionals in the transportation field. Members receive invitations to exclusive events and seminars, opportunities to meet fellow professionals, and eligibility to join the YPT-Chicago board and vote in elections. For more information, visit yptchicago.org, find us on Facebook, or contact us at yptchi@gmail.com.